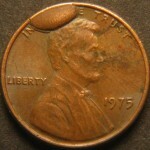 Welcome to the Lincoln Cent Forum Glossary. Use the alphabetical links above to navigate to the desired term. This glossary of terms was written and compiled by Will Brooks with the help of our forum members. A huge thanks to everyone who contributed knowledge, ideas, words, and photos to make this growing educational resource possible. Special thanks to Richard Cooper, aka “Coop” who donated many of the photos. 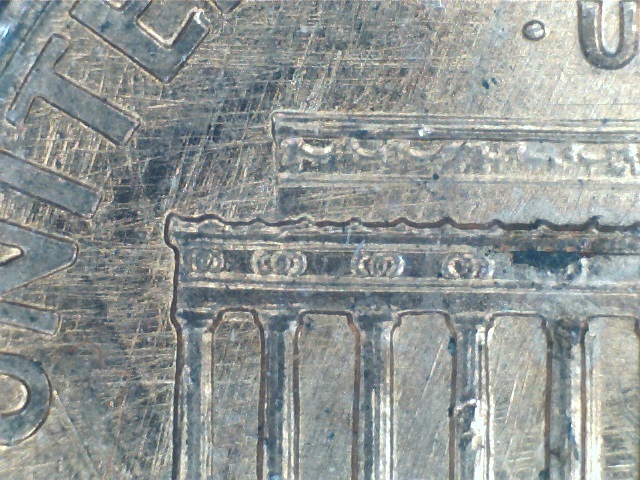 About Uncirculated: A coin grading standard of 50-58. See our grading guide Here. 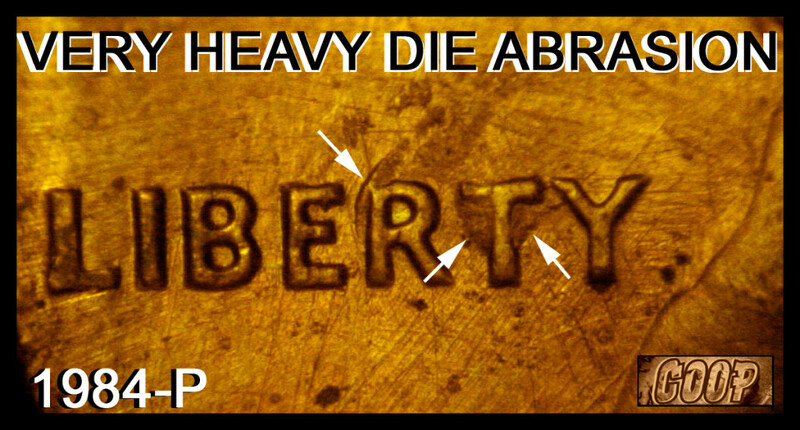 Abraded Die: A die that has had metal removed from it by some abrasive means in an attempt by the mint to remove damage from the die. This damage is most commonly from a die clash. 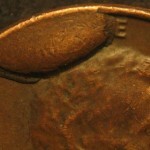 A cent struck from an abraded die will show raised lines corresponding to the scratches made in the die by the abrasion. 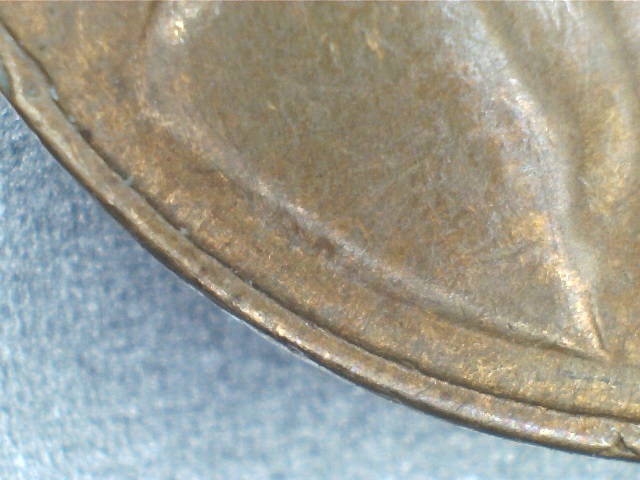 Over-abrading the die can result in a loss of detail on the die, which will result in weak or missing devices on the coin. (Perhaps the most well-known example of over-abrading is the 1937D “3-legged” buffalo nickel.) 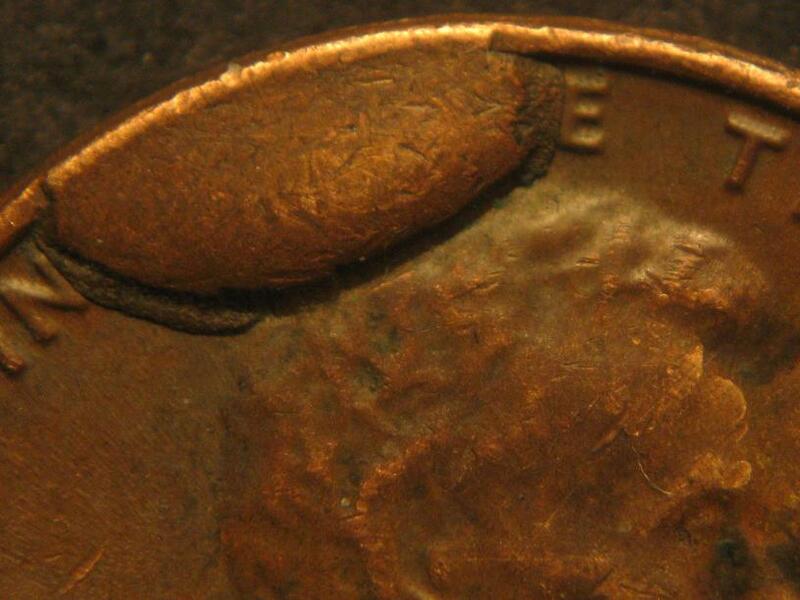 In the case of Lincoln memorial cents, a common result of over-abrasion is a cent with missing designer’s initials, known as “no FG” cents. Abraham Lincoln: 16th President of the United States, whose visage appears on the obverse of U.S cents from 1909 to the present. Abrasion Doubling: Debunked. 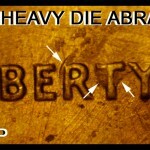 Doubling that was once believed by some to be from die abrasion is now commonly believed to be die deterioration doubling. 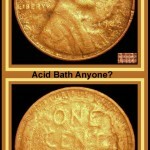 Acid Job: A coin that has been in contact with a corrosive substance causing thinning and often pitting. 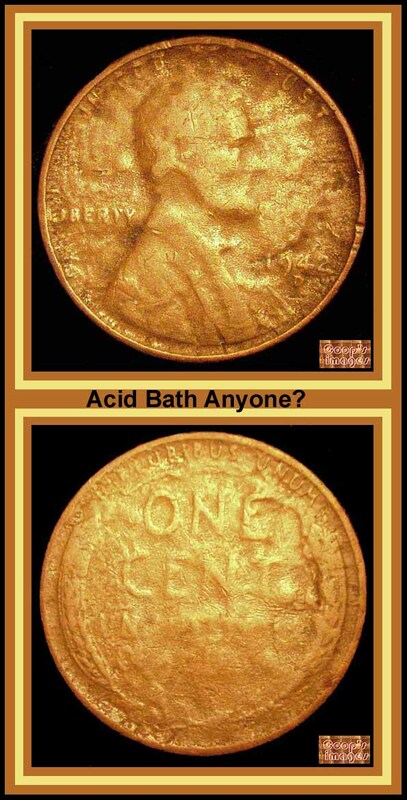 Even if done intentionally to “clean” a coin, this is considered damage and devalues the coin. 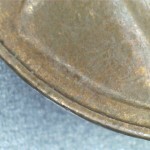 Album Friction: Wear on a coin from the plastic holder rubbing its high points. Altered (date, mint mark): A coin that has been intentionally manipulated, usually so that it appears to be a more valuable coin. 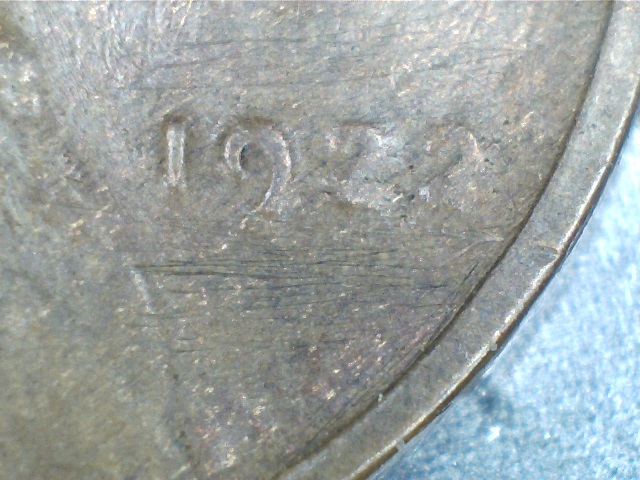 The more common alterations are adding/removing mint marks and changing the date. 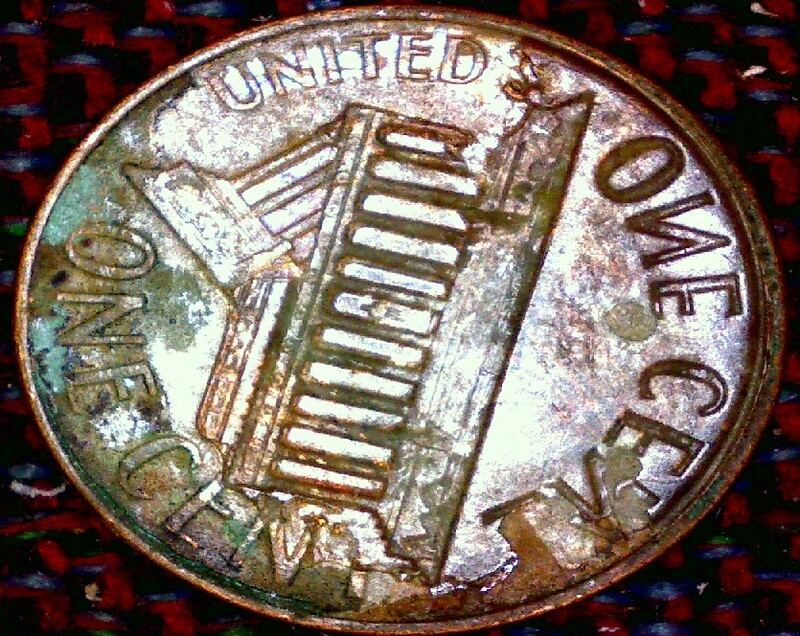 A commonly altered cent is a 1944D which is altered to look like a 1914D as shown below. 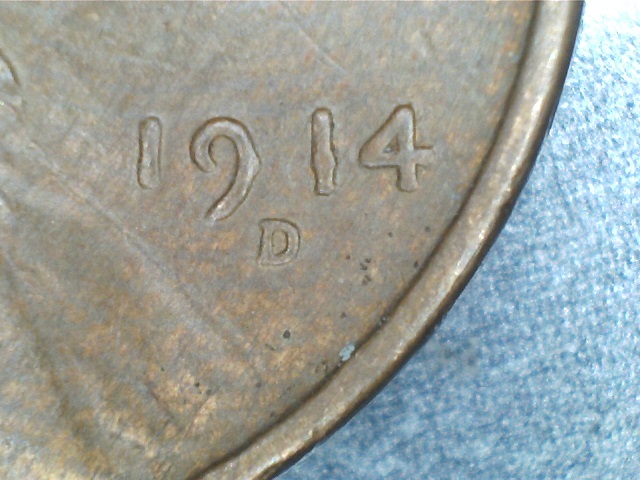 A genuine 1914D would not have the large space between the 9 and the 1 and would not have the VDB on the bust’s shoulder. Also note the incomplete removal of the vertical bar of the 4 where it meets the horizontal bar. 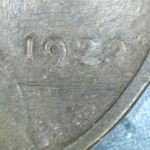 Also shown below is a 1922D which has had the mint mark manually removed. 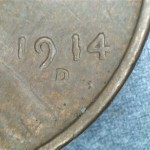 Note the scratch marks where the mint mark should be. 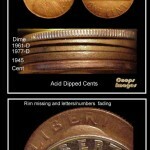 Aluminum Cent: In 1974 some cents were struck from aluminum as an experiment by the mint looking into cheaper materials. These coins were not released by the mint and most of them were destroyed. A few, however, were given out to U.S. Congressmen, and a few of those (probably less than 15) are still at large. Annealing: The heating of a die or blank to soften the metal to increase its workability. A die is annealed before it can be hubbed, and a blank is annealed before it can be struck. 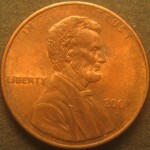 In the case of Lincoln cents, too little heat or time in the annealing oven can lead to too-hard planchets which consequently can’t take a full strike. It is unclear if cent blanks (which later become planchets) suffer any discernible problems from too much heat/time in the annealing oven. Only copper-alloy blanks were annealed. Copper-plated zinc blanks are NOT annealed before striking. Anvil Die: The stationary die upon which the planchet sits before being struck by the hammer die. 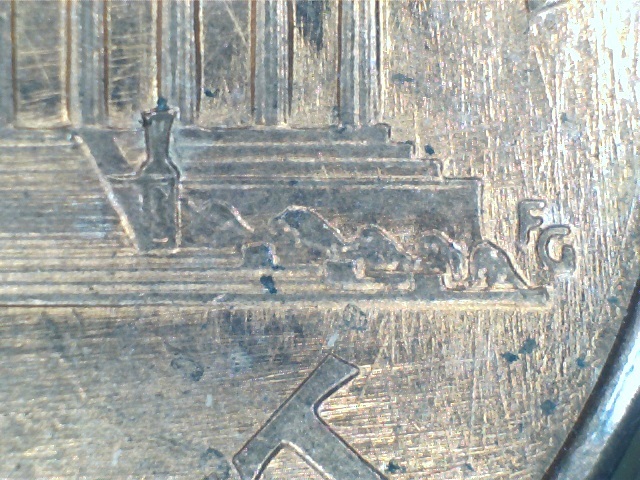 Generally speaking, the reverse die served as the anvil die up until the 1990s, when the mint began experimenting with reversing the die installation by using the obverse die as the anvil die. 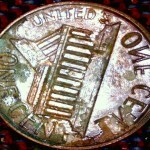 The frequency of this reverse die installation increased over time as is now the predominate set-up used by the mint. 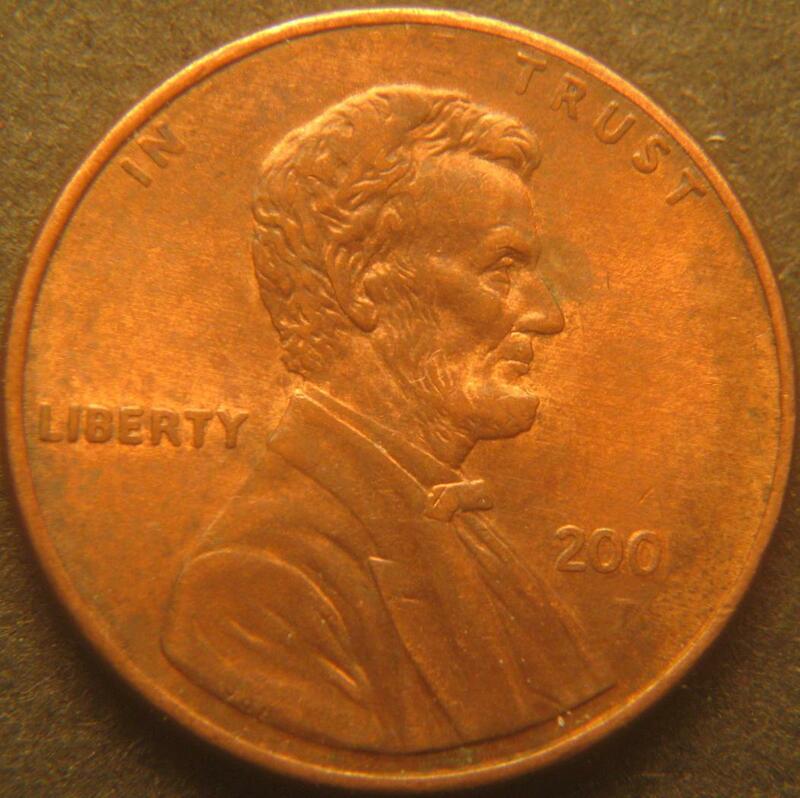 Atheist Cent: A colloquial term for a cent with a cud which covers the word God in the motto. Photos courtesy of forum member Joel. 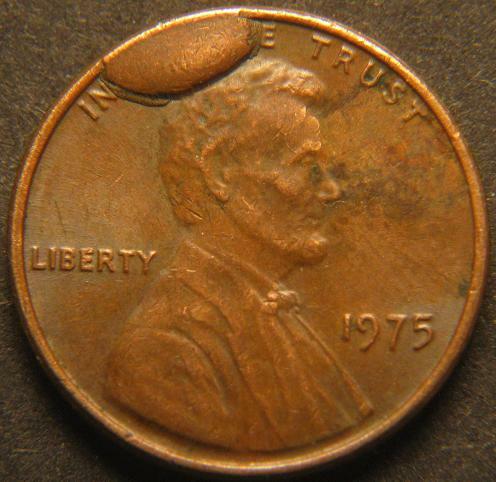 Atheist Greaser: A colloquial term for a cent that was struck through a filled die preventing the word GOD from being struck into the obverse. The term and photo are both courtesy of forum member Joel. 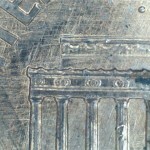 Attribution Number: A number assigned to a variety coin to identify it. 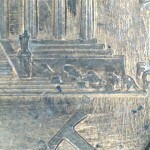 There are several popular attribution systems in use including coppercoins.com, Wexler, Crawford, and Coneca. Attributor: A person who identifies a variety or error coin, and assigns it an identifying number. Atypical Die Clash : An unusual die clash due to it being very strong, rotated, misaligned, pivoted, or repeatedly clashed. This is a proprietary term of maddieclashes.com. Examples of atypical die clashes can be seen, identified and attributed there.